We are about to take you through to the Southbank Centre website where you can pick your exact seat and pay by credit or debit card. 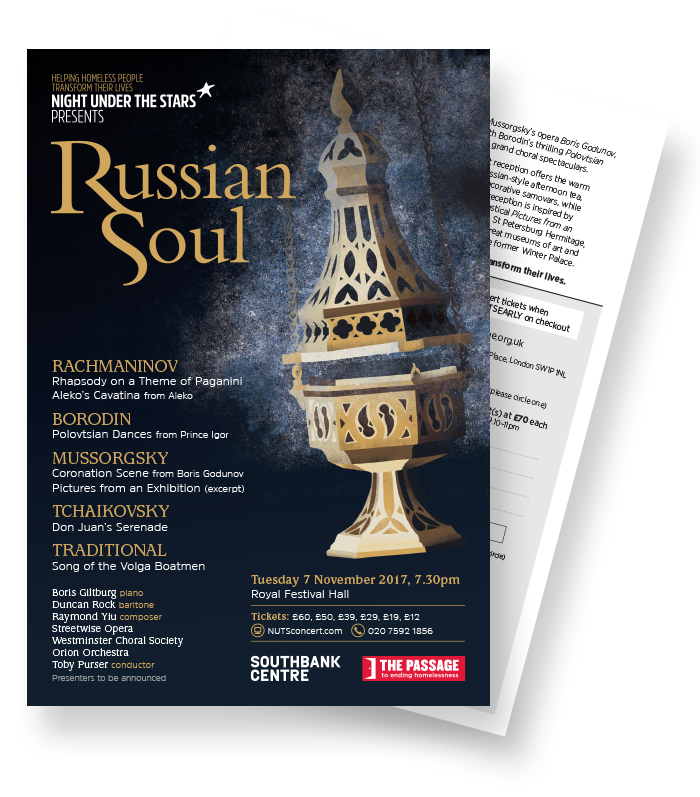 Currently we are unable to sell tickets to our pre- and post-concert receptions through the Southbank Centre. But if you would like these please tick the box below and we will email you to arrange this. Before you go, we’d very much like to add you to our mailing list so we can keep you up-to-date about Night Under The Stars and other events. We do not share our data with third parties. You can also book tickets for both the concert and receptions by calling The Passage on 020 7592 1856. You can still book via post, just download and print the booking form, fill it out and send it back to us.